It seems that weddings are in the air... But the wind didn't blow away my best friend's wedding! Last pose before he hid in the flower brush. Giving mum a break for the day. A little somethings happened this week. I got a new camera. It is a Nikon D40, so a simple digital SLR. Which is just what I have wanted since my film SLR body got a crack in the mirror. 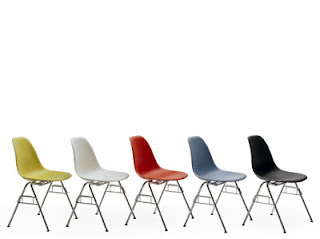 Eames Molded Chairs- Herman Miller..